Find good old-fashioned fun on the Delta! The Sunrise Seaport’s waterways flow deep with a rich history. 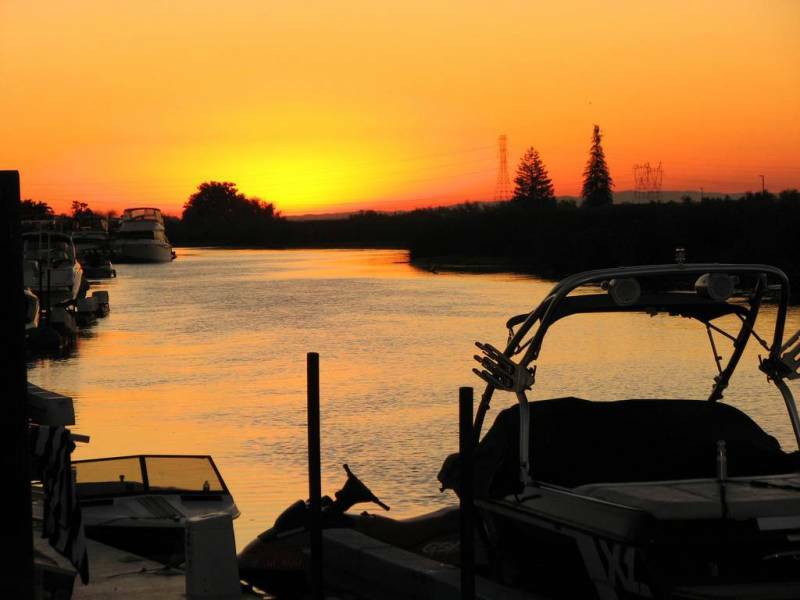 The marriage of the Sacramento River and San Joaquin River birthed dozens of canals—known as the California Delta—that the earliest settlers used to produce food and for basic transportation. Riverboats carried necessities like food, mail and newspapers up and down these channels, before they became a platform for sport to visitors and locals. Even the California Gold Rush saw the gold diggers shipping gold up and down the Delta from the mines to the banks. Today, visitors to the Delta are seeking a valuable treasure of another kind—good old-fashioned fun. Lucky for them, these waterways have more than enough history with that. Taking a cue from the riverboat days, Stockton offers two river cruises to let you relax and enjoy the Sunrise Seaport. The California Sunset is a place of gatherings. Gather as many as 55 of your friends for a private buffet or 40 friends for formal dining. The boat is equipped with a full canvas enclosure so patrons are free to enjoy the ride all year round. Be on the lookout for public events like a Mother's Day cruise in May, a Father's Day cruise in June, and a Fireworks Cruise held on Fourth of July. Those who have their own private mode of water transportation can stop at one of the region's twenty marinas. The Downtown Stockton Marina offers free docking for guests for up to two hours and dining and shopping. River Point Landing, King Island Resort, Five Star Marina and Tiki Lagun are just a few places you can refuel, pump out, load up some laundry or fit in a hot shower. One of the most popular times to ride along the Delta is the beginning of July. Fireworks are on display in the sky and reflected in the water, creating a celebratory kaleidoscopic viewing experience. Head to Mandeville Island on July 4 for the annual Barron Hilton Fireworks Extravaganza. This will be the event’s 57th year during which those on land and water are treated to one of the most spectacular fireworks displays in the area. Come on your own boat or book a party and Opportunity Cruises will take you there. Another part of the city’s legacy is the Stockton Sailing Club. Started in 1933 by three Stockton High School alums, the club took on a number of names and facilities until it found its home in 1966. Today, 4980 Buckley Cove Way has 20- to 36-foot slips; water, hose and electrical service on all docks; 24-hour security with a gated harbor; sailing seminars, programs and camps; and Friday-night dinners hosted (on rotation) by club members. Every year on the first Saturday in June, one of the most thrilling days on the water is the Delta Ditch Run. Hosted by the Stockton Sailing Club and the Richmond Yacht Club, the race from the Richmond-San Rafael Bridge to the Stockton Sailing Club attracts thousands of racers and spectators each year. Need more recommendations? Text us 7 days a week, 8am to 8pm at (877) 778-6258 and you'll receive a live response from a member of our team. Also follow us on Facebook, Twitter, and Instagram - and be sure to use #VisitStockton during your visit!